Heat oven to 375°F. 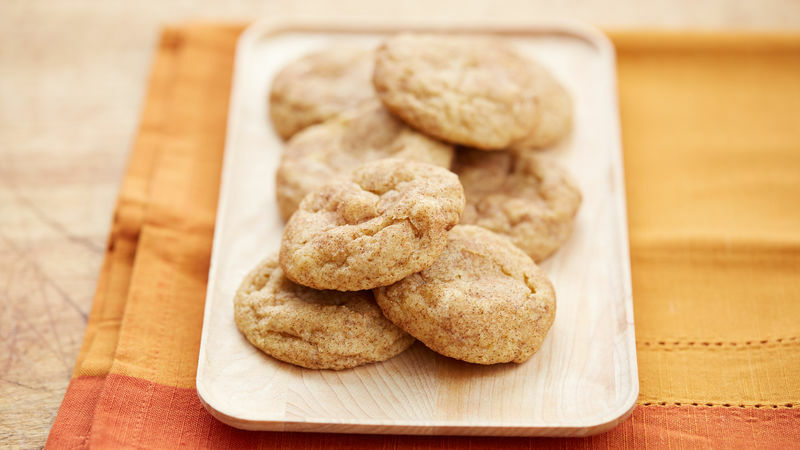 Open cookie mix; remove and set aside cinnamon-sugar packet. In large bowl, stir together cookie mix and remaining ingredients until soft dough forms. Cover and refrigerate dough 15 minutes. In small bowl, pour contents of cinnamon-sugar packet. Drop dough by rounded teaspoonfuls into cinnamon-sugar mixture, rolling until coated. Place 2 inches apart on ungreased cookie sheets. Bake 7 to 9 minutes or until edges are just set. Cool 1 minute; remove from cookie sheets to cooling rack. Store tightly covered. Try dark chocolate chips for a new flavor twist!